The world over, when you mention Italy, the one thing that will come to mind is, food. And when it comes to eating in Rome, good restaurants run the gamut from Japanese and Indian to grabbing a simple pizza at a little ol' pizzeria. 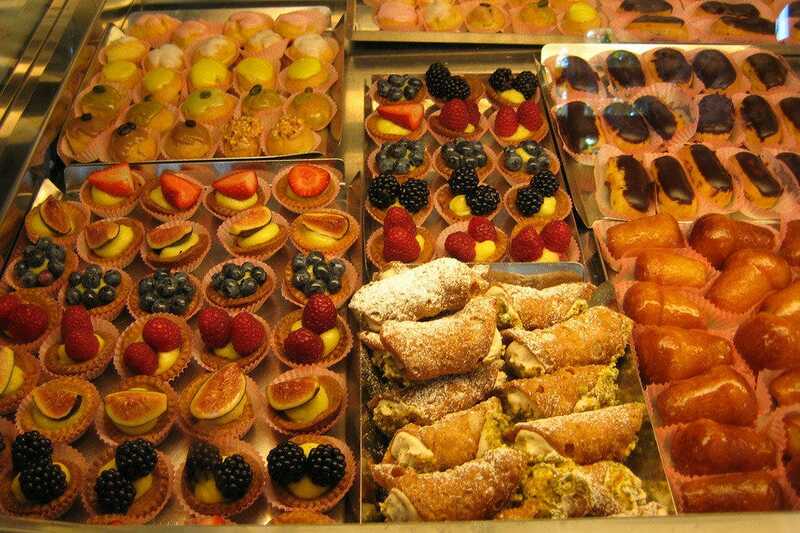 But perhaps, nothing takes the cake than grabbing a bite to eat at one of the Eternal City's top rated Italian eateries. Whether you're looking for something modern, casual, mom-and-pop or a mix of all of the above, Rome certainly has something for all walks of life and wallet sizes. With Italian cuisine renowned for being not only seasonal but regional, you don't even have to leave Rome to get a taste of some of Italy's other cities or regions. 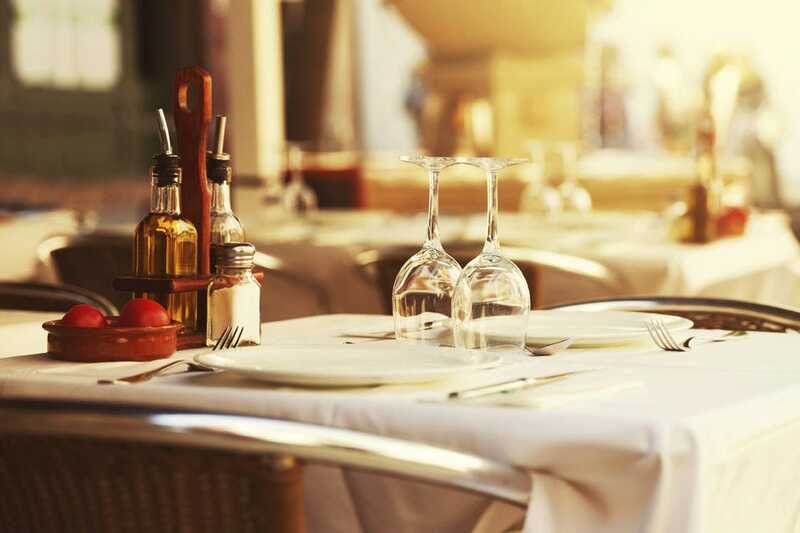 Across the city you can find a wide variety of restaurants that specialize in regional dishes from Rome, Naples and Venice to coastal seaside locations like Sicily and Calabria. 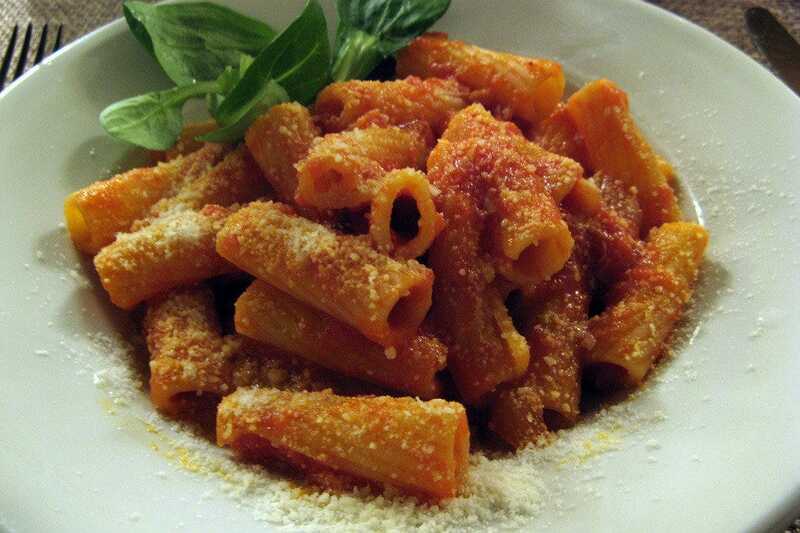 In fact, most regions of Italy are represented by their cuisine here in the eternal city. While you don't have to venture too far from the historical center, inner city neighborhoods like Testaccio, Trastevere and Monti are packed full of worthy and diverse dining options. 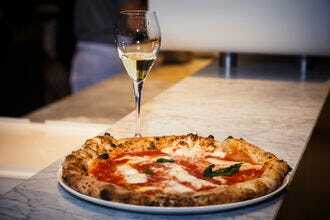 So check out 10Best's list for the top 10 Italian eateries in Rome. Believe it or not, in and around the centro storico being in the heart of it all doesn't always gaurantee you'll find a good restaurant. One exception though is Grappolo D'Oro Zampanò. Unlike the slew of tourist traps around the Campo de' Fiori area, this little restaurant is always bustling with tourists but locals especially love to come here. Grappolo D'Oro Zampanò is a classic little trattoria that underwent a major overhaul in 2003, expanding its restaurant location and menu as well. 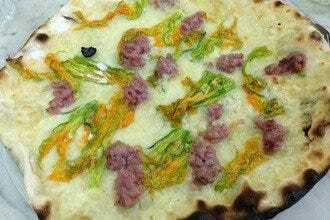 For starters, one should order the 'Antipasti della Casa' which includes: Burratina cheese, salami, a sort of ricotta and eggplant pudding,zucchini flowers. For first course dishes, this restaurant serves up some of the best Roman classics: Carbonara, Amatriciana and Cacio e Pepe. For second course dishes, don't miss out on the involtini (rolled and stuffed veal with radicchio and smoked scamorza cheese). BUS: 40, 46, 62. Hostaria Dino e Toni is your typical mom-and-pop type of trattoria that continues to win over locals and tourists everytime. 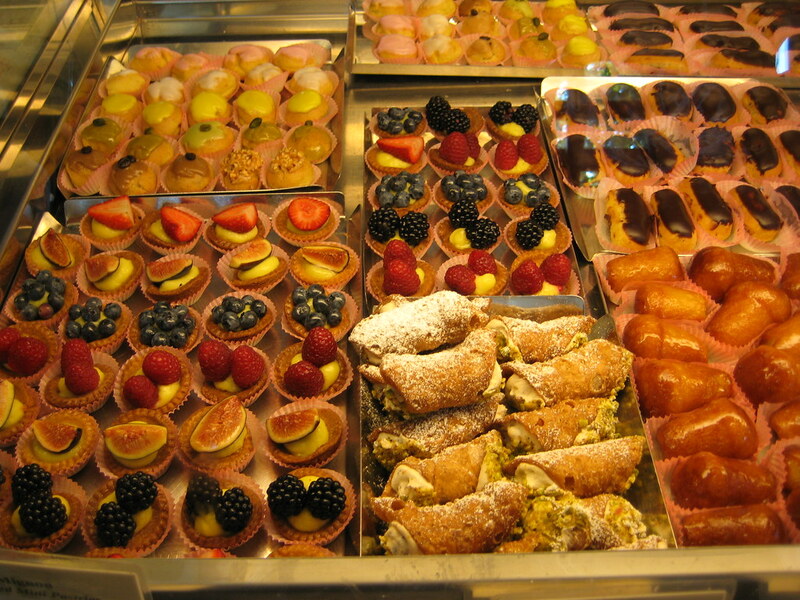 The small restaurant is located just a short distance from the Vatican Museums. It's best known for its variety and large portions. Although there's a menu to order from, it's always best to trust Dino with the ordering. He'll keep the antipasti della casa (i.e. fritti, salame, cheese, bruschette, pizza and more) coming. If you've haven't filled up yet, he'll recommend you try 'due assaggini' (two samples) or half portions of pasta which is usually pasta amatriciana and carbonara. The house wine is also pretty decent. Make sure to call and reserve as this place gets packed. The restaurant's official name is Da Gianni Cacio e Pepe, but to locals it's referred to as the 'Posta' because of its very kitsch outdoor seating area right smack dab in front of the post office's door. But nevermind the appearance, the quality of the food is what's good here. As the name suggest, the restaurant is best noted for its tonarelli Cacio e Pepe and it also makes a mean pasta carbonara. Don't expect to get a menu here. The waitress tells you exactly what there is and that's exactly what you get. Plain and simple. Prices are more than reasonable especially since the portions are more than hearty. If you're looking for a pub or birreria that's all about 'Made in Italy', look no further than Open Baladin near Campo de' Fiori. Some might classify it as a pub. While other would categorize it as a locale that specializes in hand crafted beer. 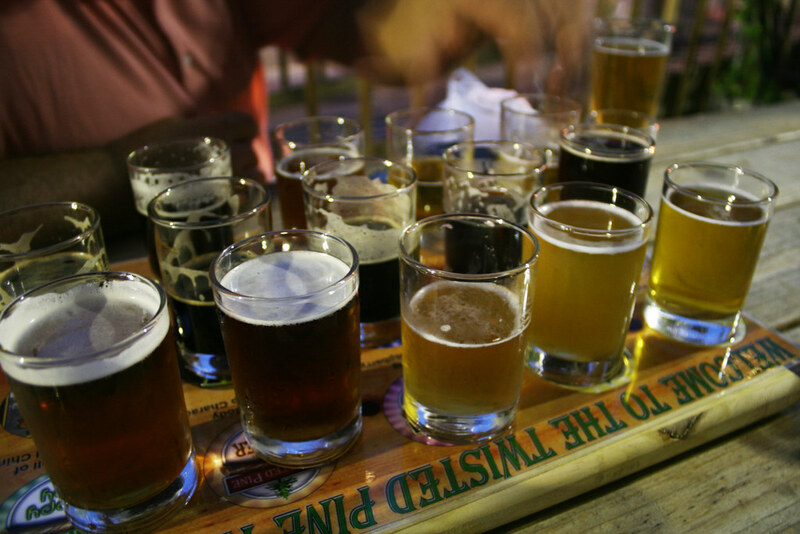 In fact, Open Baladin serves up more than 100 types of artisanal beers produced in Italy. Forty of their beers are on tap. Yes, you read right. 40! Though, the atmosphere is laid back here with its tall wooden table tops and chairs; it's nothing like your average rowdy sports bar or pub. 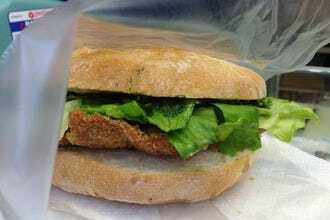 Open Baladin specializes in pub grub with a kick: chicken strips marinated in curry, burgers made in all shapes and sizes, hot dogs, Caesar Salad and even dessert made with beer! Located between the Pantheon and Piazza Navona, Il Bacaro is romantic and small, and each table is adorned with dripping candles. Some of the best Italian wines available can be found on their wine list. The spinach risotto makes a great starter, followed by a beef fillet or venison dish. There are some vegetarian options too. The white walls are sparingly decorated with simple frescoes. During the summer months, there are some tables outside surrounded by trellised plants. 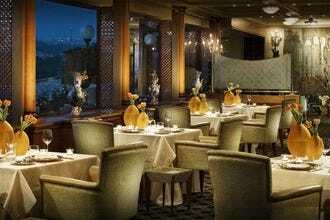 The chef offers an ever-changing degustation menu of the day where you can sample a range of seasonal plates. Reservations recommended. Metro: Spagna. Most people go to Testaccio looking to paint the town red. As it's the hub for Rome's best nightlife, this neighborhood gets jumping with tourists and locals on the weekends. Another good reason to come to Testaccio is for its slew of good restaurants. Osteria degli Amici is a good find just up the street from the strip where all of Testaccio's nightclubs are at. This little restaurant was started by two friends who got their start in the business working at one of Rome's most luxurious hotels. 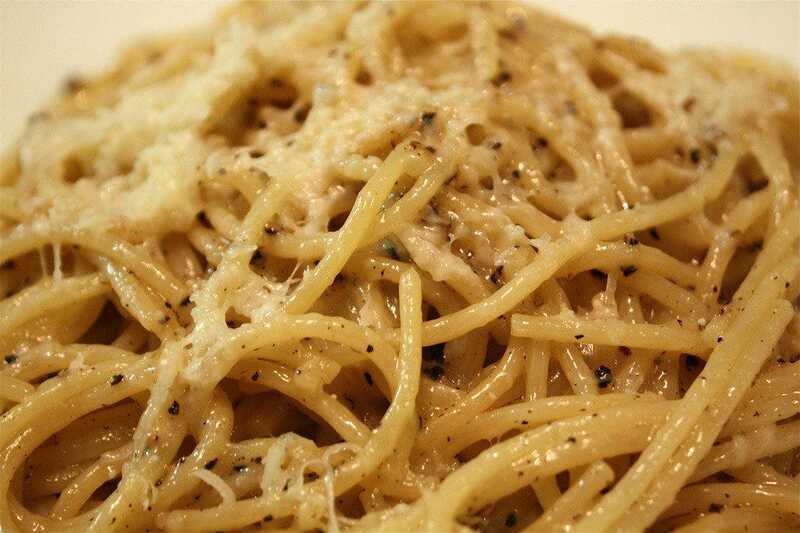 The restaurant serves great Roman dishes such as tonnarelli cacio e pepe and bucatini all'amatriciana. They also do great second courses such as sea bass, tuna steak and other light tasting dishes that go well in those hot summer months. METRO: Piramide BUS: 23. Whether you're looking to go for a simple pizza with friends or for a hearty dish of pasta, La Mora is the perfect place to come to. It's location is positioned in a lovely little piazza across the street from a mini outdoor market just around the corner from the famous park, Villa Ada. In the Spring and Summer months, one needs to call well ahead to guarantee yourself a prime spot outside where one dines al fresco. 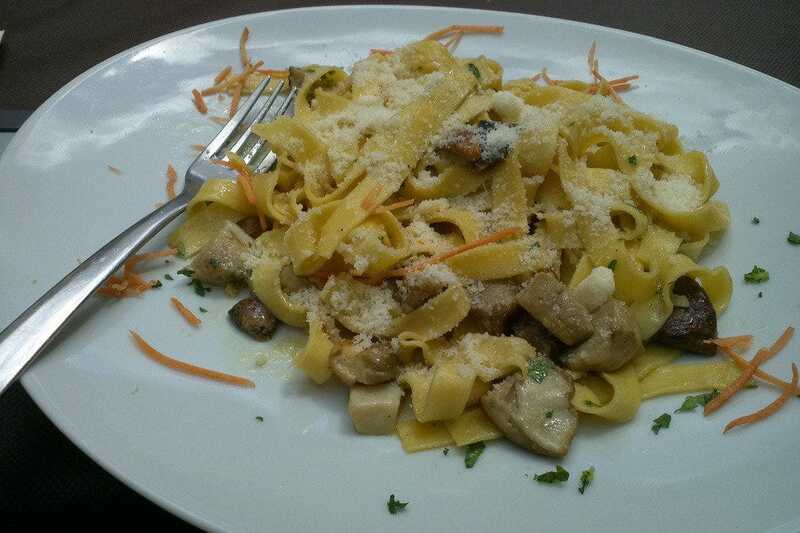 At La Mora, one could never go wrong with what you order as pretty much everything is good. The restaurant specializes in dishes from the Tuscan region. 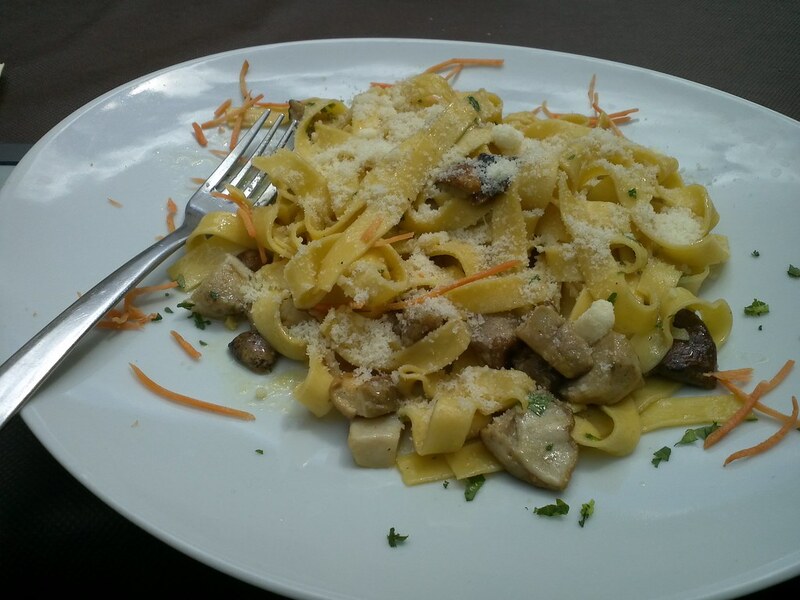 Some of the best dishes are: Pappardelle al Cinghiale (pasta made with wild boar sauce) and Fettuccine ai funghi Porcini (fettuccine pasta made with porcini mushrooms). BUS: 92, 80, 38. 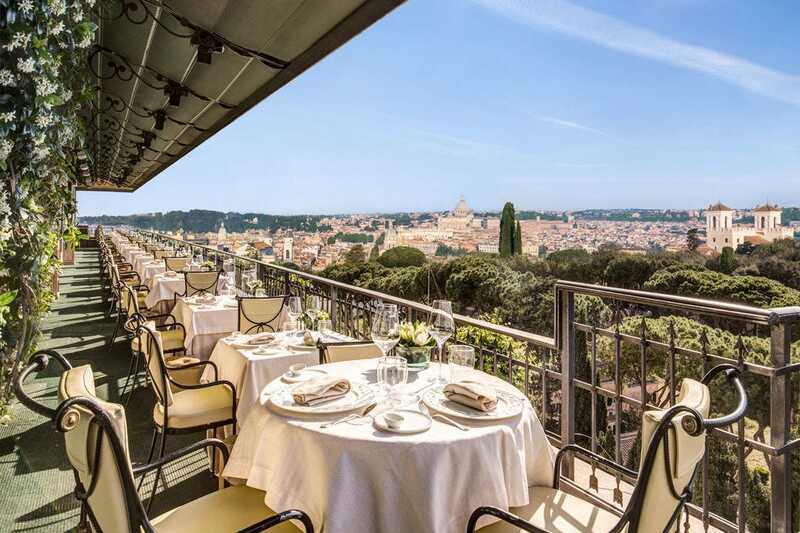 Mirabelle is perched on the 7th floor of the luxurious Hotel Splendide Royal and is home to one for the most elegant terraces in Rome. Unobstructed views of everything from the Pantheon to the dome of St Peter's Basilica can be enjoyed from the roof garden which acts as a magical panoramic space all year round. Executive Chef Stefano Marzetti and Food and Beverage Director Luca Costanzi run the show here and what a delightful show it is. Their impressive wine cellar boasts a never-ending selection of Italian and international labels (over 700 to be exact) and the refined menu with gourmet touches will delight even the fussiest of fine diners. In addition to the a la carte menu, there are three tasting menus to choose from, including Rome's current complete gluten free degustation consisting of 5 delectable courses. The classic decor with the live piano gives it an olde world cabaret feel. 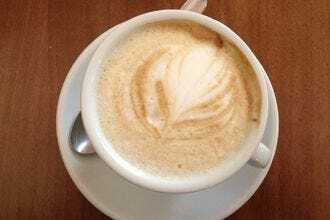 One thing's for sure: the meal, the staff and lively atmosphere will more than impress. The view will leave you speechless. Metro: Barberini.